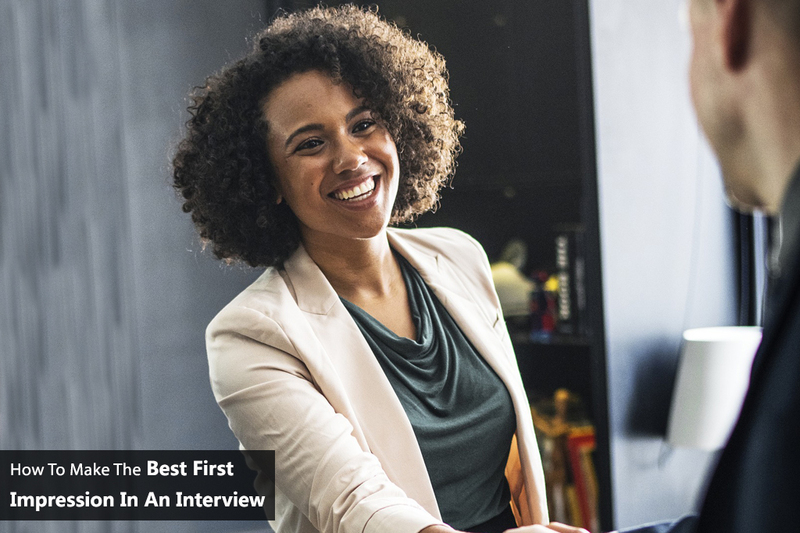 Home Blog How To Make A First Good Impression In An Interview? Like many people say, the first impression is the last impression. When a person meets you for the first time, he/she will gauge your personality. The recruiters are professionals at this. So it matters how you present yourself to make a good first impression. A few points are listed below for you to follow. This helps your chances in boosting your first impression. Before anything verbal happens, when you enter that room where you have your interview, all do is greet them, they see how well you’re dressed, how clean you are etc. Your appearance matters. Dress up neat, look clean and bold, this is a first impression. People love a well dressed man/woman. Stick to time: Being late shows that you are lethargic. If you do not know where the venue is, leave in plenty of time. Even if you reach the venue before time, it doesn’t matter. You proved you aren’t lethargic. Another key factor that impacts the interview is your body language. The posture you sit, the handshake, the gestures you make, etc are all points of gauging the interviewee. When you greet the interviewer, shake hands in a firm but in a non-painful way. Sit straight with your shoulders back. Avoid casual posture no matter what. Always maintain eye contact, do not fidget around this shows confidence. Following are five questions frequently asked at the beginning of an interview. Be prepared to answer to have a great first impression. Tell us about your education history.